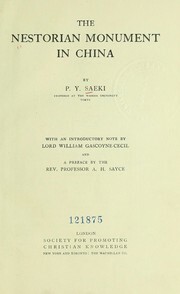 1 edition of The Nestorian monument in China found in the catalog. Add another edition? 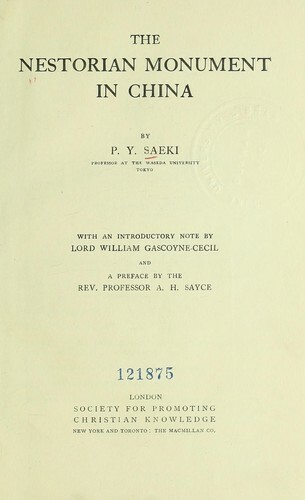 Published 1916 by Society for Promoting Christian Knowledge in London . x, 1 l., 342 p.